March 27, 2018 – 6:30 p.m.
Not only for council meetings for council members only. Anyone attending a council meeting should be able to carry. Let’s have a even playing field. Chief Buchanan is in the council meetings. I would assume he is carrying a weapon. Why would Chief Buchanan defer to the Law Director? How many guns do we need at a council meeting? Hickman,Clark, and McElfresh should rethink this proposal. The voice of the Monroe people will likely not be heard due to intimidation. The proposal is for council members only. If the City Manager is wanting the general public or his employees to carry concealed at the city building then he would need to write legislation up and we would then need to vote on it. Right now it has not been determined if it possible to carry during Council meetings. Also the police chief is not at every meeting. He is only there when he has something to present to council. We had a meeting about six weeks ago that had three officers there because of something that was said in court before our meeting. My thoughts were why do we only have one SRO for the entire school system and we have three officers here for seven members of council. I believe if the school board can vote to allow teachers to carry concealed at school then why couldn’t council vote to allow those council members who have a CCW permit carry during meetings. If schools start allowing teachers to carry guns at school that doesn’t mean the general public can carry guns into schools and that would be the same at the city building if it is determined that council can carry during meetings. It would also need to be voted on by council before council could carry during meetings. If it goes through it really doesn’t mean that council will be carrying but it gives them the option to carry without being arrested. Wait. I get it. Its kinda like when the Hollywood stars, and the musicians and Washington elite tell the rest of us that guns are bad...while all the while they are surrounded by armed guards. IMO, This is a VERY bad idea. If there is serious concern for the safety of members of council then install metal detectors. "Council Members are allowed to conceal carry." You've never been in Executive Session. What year is this? Video conferencing, podcast , Skype, etc. No need to ensure personal safety for anyone. No need for metal detectors, police officers. Nothing ever happens in Executive Session other than discussion/debate on the reason we went into Executive Session. 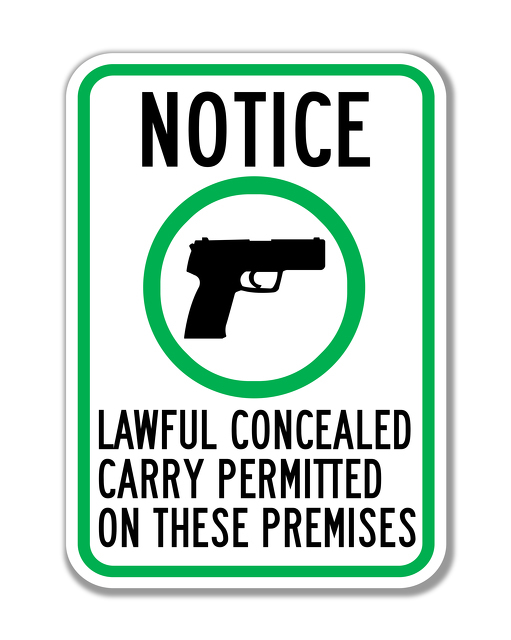 There will be legislation written and voted on at our next meeting regarding concealed carry. Mayor’s Court is taking place. and while Court is going on concealed carry is not permitted for obvious reasons. anticipate the public reaction that they received. opinion. Mr. Callahan clarified it was his professional opinion as the Law Director. public but, City Council to conceal carry. Mr. Callahan agreed that would be a good idea. City Council couldn’t make that motion..
this situation because I don’t represent the schools and that is not what I was asked to do. the public from carrying in their business except for the owner and asked if that is permissible. hours a month for court. determines that he has to have a hearing this is where he is going to have it. the day is this a courtroom. law enforcement officers that guard your council chambers/courtroom or your magistrate. this building but, we have no way to determine who is going to come into this room on court day. Mr. Hickman asked Chief Buchanan if he was okay with Council carrying concealed. someone carrying a concealed weapon. He enforces the law as it stands and doesn’t interpret it. authority makes a different determination. thing he has brought up to Council is for only Council members only. courtroom in the building it would probably be easier to exclude rooms. are firearms. Certain members of the staff under certain circumstances can access those firearms. research on limiting it to only Council members. April 10, 2018 – 6:30 p.m.
meetings of City Council and meetings of Council Committees at specific City-owned facilities. we could send to him. second reading, we can table it then. but, I want to make sure everything is proper. carry during meeting of Council and would like to hear more of those opinions. teach you how to avoid armed confrontations. It is all about it is about responsibility. that he liked the questions that Mayor Routson brought up. to Mr. Brock and whether he would want his staff carrying. that we now have to consider this. Mr. Frentzel indicated that he has not spoken with Mrs.
or indifferent, forms their opinion of whether they want to bring that business or not. a negative as it it is an ordinary part of life. more responsible people as far as gun owners. it should be open to everybody and she isn’t sure Council would like to do that. community or his staff carrying and doesn’t believe that is something that Council should push for. Mrs. McElfresh did not want this perceived as something that is discriminatory in nature. answered before considering adopting it on the second reading. Mrs. Hale did not feel this is needed at the present time and would vote no. title only; seconded by Mr. Hickman. Voice vote. Motion carried. Mrs. Hale nay. The Clerk of Council read Resolution No. 24-2018 by title only. Mr. Clark moved to approve the first reading of Resolution No. 24-2018; seconded by Mr. Funk. Roll call vote: five ayes; two nays (Frentzel and Hale). Motion carried. April 24, 2018 – 6:30 p.m.
Monroe City Council has a MS-13 problem and it must act immediately. With all the crazy people out there doing harm to people, being prepared is always the best policy. I feel much safer at an NRA convention than at a conservative speaker event at Berkley. Joking around is fine. But please work on your material a bit. It is getting stale. With that said. Im sure you feel that same way I do. This is a terrible limitation to the freedom of all but those who sit on council. There by telling the other ~13,000 citizens of this city that their protection is not valid. Their rights, under the 2nd Amendment, is not as valid as those who sit on council. Houndog you will be glad to know that it went down 4 to 2. What do you think about teachers carrying and the general public not being allowed? Todd, I think its BS. If people want guns in schools then I think any citizen who wants to put their conceal carry permit on file at the school should be allowed to carry into that building. Allowing a few teachers to carry is nothing but good optics for the NRA. Lets put guns in schools. Lets put guns everywhere. Im purely a freedom of choice kind of guy. In this country a person is far more likely to die from consuming all of the garbage we call food than they are being shot. But yet, feel that a pistol in their pocket is going to save their life. Therein lies the beauty of this great nation. The real American dream is delusion. People that think they should be armed but others should not, obviously don’t agree with the Second Amendment. Furthermore, local, county or state police having military-grade weapons goes against the grain of the Second Amendment. I am far from being a legal scholar, but wasn’t the whole purpose of the Second Amendment to prevent a tyrannical government? Finally, because we have the Second Amendment, why should any American have to obtain a permit to carry at all? officials. The public officials liability policy would need to be reviewed and possibly increased. environment. The concealed carry issue is being tested every day. firefighters that can conceal carry at the additional $400 per individual rate. ayes; three nays (Funk, Hale, McElfresh nay). Motion failed. to come before us and feel comfortable. He felt that police presence can be increased. do not have a concealed carry. Mr. Clark felt that there is a heightened level being a Council member more so that other people. we have done Monroe a disservice. title only; seconded by Mr. Funk. Voice vote. Motion carried. ayes; four nays (Frentzel, Funk, Hale, McElfresh). Motion failed.